AN Industiriservice Ab is a swedish family business, who is specialised in blast cleaning, tumbling and laser marking. The customers of AN Industrieservie Ab are in Sweden and in other nordic countries. AN Industrieservice keeps up high quality in their services and therefore they are investing in new machines. Finnblast has delivered first blast cleaning machine to AN Industrieservice in 2010. 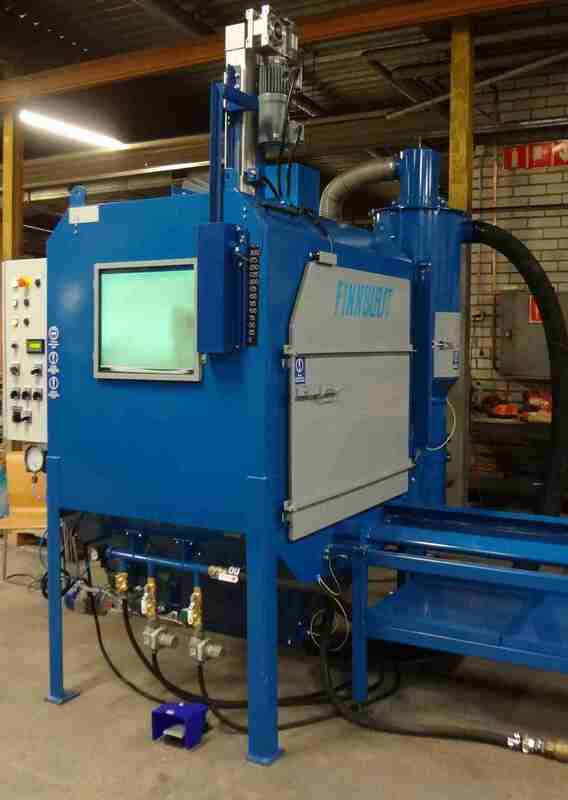 At the end of 2015 Finnblast delivered the second blast cleaning cabinet with satellite tables for blast celaning of serial products. The cabinet is designed for blast cleaning of small objects. 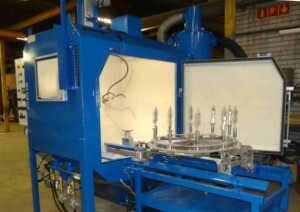 The machine has 10 pcs satellite tables and two blasting nozzles. The movement on the nozzles are programmable though a user friendly PLC .